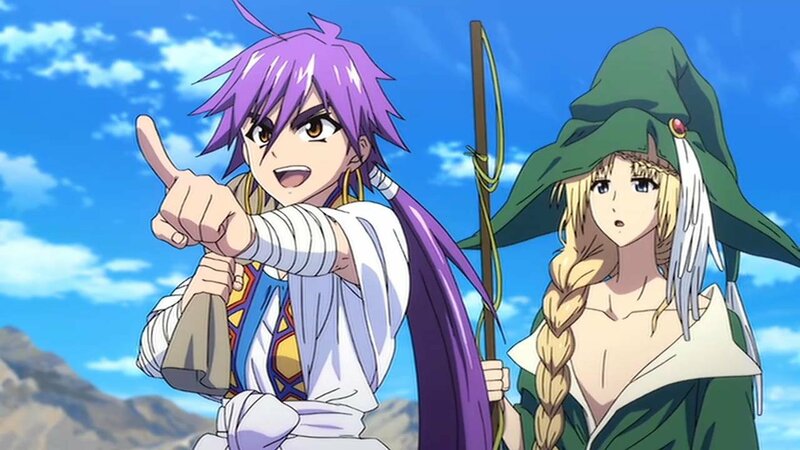 Netflix continues to expand it’s anime streaming selection and be a contender for your subscription fee as over the past few days the video-on-demand subscription service have added Magi: Adventure of Sinbad, to their anime streaming line-up. 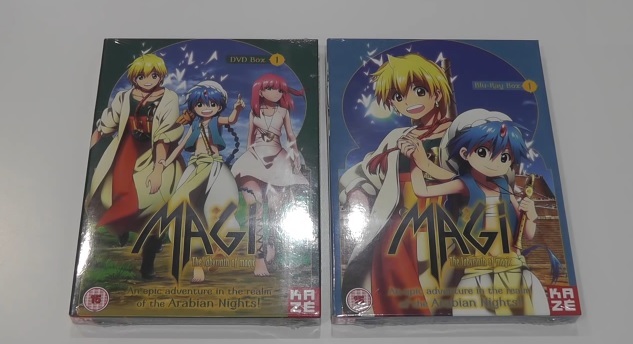 File ths under slightly late, as the video was posted onto the Manga UK Youtube Channel several days ago, but Jeremy, the Community Liaison for Manga Entertainment UK, has recorded and upload an unboxing video for Magi: The Labyrinth of Magic – Season 1 Part 1. Just like with previous unboxing videos Jeremy gives fans a general look at the artwork and disc contents, but more importantly he takes a look at both the DVD and Blu-ray versions of this latest KAZE/Manga UK release. If you plan on picking up Magi: The Labyrinth of Magic – Season 1 Part 1 then you maybe interested in reading our review, also Manga UK plans to host a tweet-a-long later this week whereby people who take part can win prizes. In the meantime Magi: The Labyrinth of Magic – Season 1 Part 1 is now available on DVD and Blu-ray within the UK. We take a trip to the desert to find out what KAZE’s release of Magi has to offer, but what did we think of the series and its unique approach to the Arabian Nights tale? 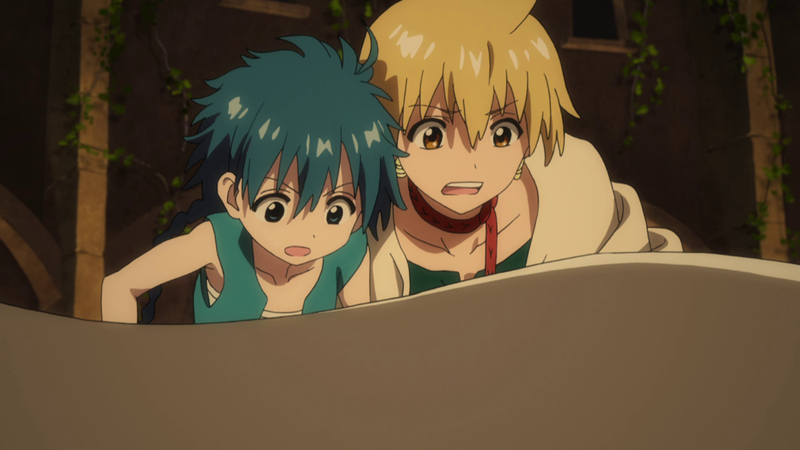 Find out in our Blu-ray Review of Magi – The Labyrinth of Magic Season 1 Part 1. In a fantastic middle-age world where slavery is very common, there are mysterious tall towers named Dungeon which mysteriously appeared out of nowhere fourteen years before the story line. Someone who conquers a Dungeon becomes very powerful and wealthy.